Gary Farrell has been making wines in the Russian River Valley since the late 1970s. He started making wine under his own label in 1982. His focus was small-lot Chardonnay and Pinot Noir. He sold the winery in 2004. 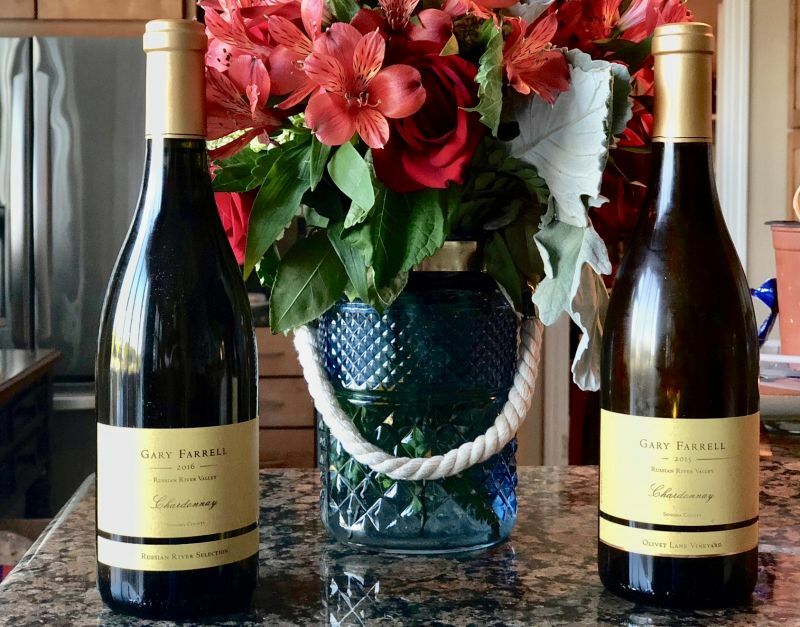 The current winemaker, Theresa Heredia arrived at Gary Farrell in 2012. Like so many winemakers in California, she attended UC Davis. Before moving to Gary Farrell, Theresa worked at Joseph Phelps and Freestone Vineyards. 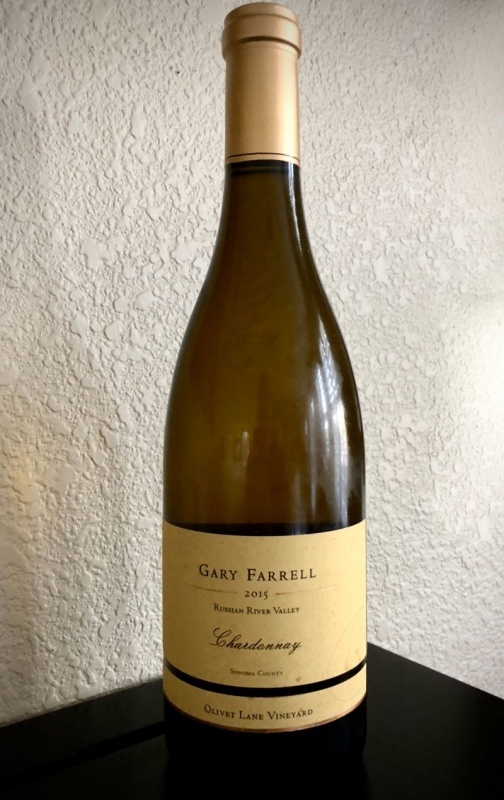 We had two Chardonnay wines from Gary Farrell Winery to taste. The first wine was the 2016 Russian River Selection Chardonnay ($35). It is a blend of fruit from several vineyards in the Russian River Valley. Aged for 9 months in 35% new French oak, this wine has an alcohol level of 13.4%. The second wine was the 2015 Olivet Lane Vineyard Chardonnay ($45). This is a single vineyard expression of the varietal. As with the previous wine, it aged for 9 months in 35% new French oak. The Russian River Selection had aromas of over-ripe apples and hay. It was robust and rural. Good acidity, with flavours of green apple and vanilla. There was a touch of cream in the mouthfeel. The wine had an austerity that I was not expecting from the nose. The Olivet Lane was slightly more golden in colour than the first wine. The nose was a delicate blend of apricot and vanilla. I was struck by a mouthwatering acidity, with flavours of green apple, lemon, and the merest hint of wood. The wine is lean and old-world; my type of Chardonnay. The Russian River Chardonnay is more approachable, as its acidity is a little more restrained. If I had tasted only the first wine, I would be singing its praises without qualification. But, I adore the Olivet. I cannot recall tasting a better Chardonnay this year. The antithesis of oaked and buttery California Chardonnay, these are American wines for Chablis fans. We have also received two bottles of Pinot Noir from Gary Farrell. I am looking forward to tasting those two wines; I shall not be waiting long. Disclaimer: The wines reviewed in this article were samples sent to us by the winery. The opinions are our own.